Two people died and scores were wounded in the explosion in the Ethiopian capital [Reuters] Federal prosecutors in Ethiopia are to file charges against five people suspected of being involved in a grenade attack on a political rally in June for Prime Minister Abiy Ahmed, state-affiliated media said on Friday. Two people died and scores were wounded in the explosion in the Ethiopian capital, Addis Ababa. "The prosecutors requested the court to give them 15 days to file charges against the suspects," the report by Fana Broadcasting Corporation said. "The court granted them 15 days by rejecting request of the suspects for bail," it added. The blast sent shockwaves across the country as the new prime minister, who enjoys a lot of political support, especially among the younger generation, seeks to enforce his reformist agenda. 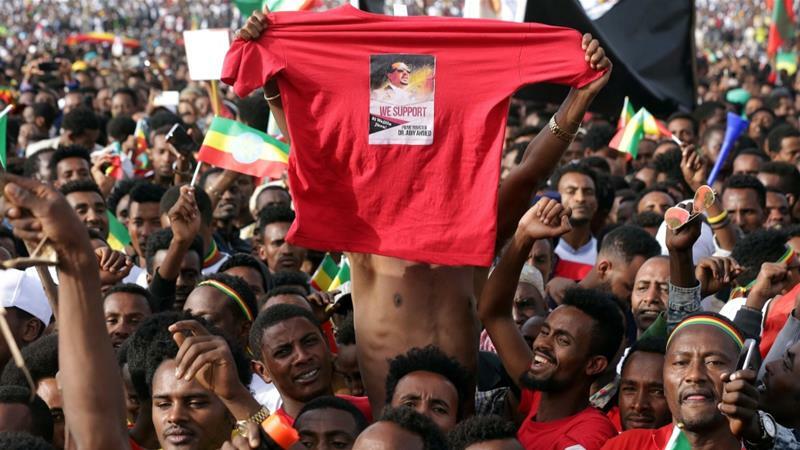 Since assuming office in April, Abiy has introduced a number of reforms and has overseen the release of jailed dissidents and moved to liberalise the economy. Last month, Ethiopia and Eritrea agreed to restore diplomatic, trade and transportation links.